The Nervous System is the other main body system that needs to adequately recover from training. Your nervous system fatigues quicker and takes more time to adequately recover than your musculoskeletal system. Determining nervous system recovery is more complex than determining musculoskeletal recovery. Keep reading for more information on recovery and 5 indicators of adequate musculoskeletal recovery. HRV is one of the best ways to determine nervous system recovery. HRV measures the interval between heartbeats. The state of your Autonomic Nervous System controls HRV. The Autonomic Nervous System consists of two subsystems – the Sympathetic and Parasympathetic nervous systems. The coordination of these two subsystems is what controls the state of your Autonomic Nervous System. The Sympathetic Nervous System’s primary purpose is to stimulate the body’s fight-or-flight response. This flight-or-flight response involves the stimulation of vital functions that prepare the body for action. Such responses are seen during physical exertion and stressful situations. The Parasympathetic Nervous System’s primary purpose is to stimulate “rest-and-digest” activity. These activities takes place when the body is at rest, and include sexual arousal, salivation, lacrimation (tears), urination, digestion and defecation. HRV devices track the variations of the interval between heartbeats. Measuring these slight variations between heartbeats determines your HRV score. 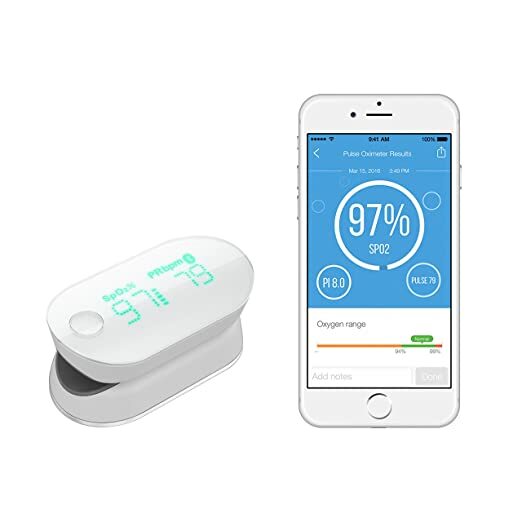 Several devices and apps are available to help you calculate you HRV. These include the HeartMath EmWave (from the HeartMath Institute), Ithlete, Bioforce HRV, and Restwise. A high HRV score is considered to be at or above 90, and is correlated with adequate nervous system recovery. An HRV below 90 is correlated with inadequate recovery, meaning your nervous system is not ready for another hard workout. Consult the HeartMath Institute for more in-depth information on HRV. HR is simple to quantify and less expensive, but not as reliable as HRV, in determining your nervous system recovery. However, HR is still an effective method of determining if you are adequately recovered and ready for another hard training session. 2 of the most common places on the body to measure pulse rate are the Radial Artery on the wrist and the Carotid Artery on the neck. Begin by having your timing device ready. Then, find your pulse on an artery. Count the number of pulsations (heart beats) that occur in 60 seconds. You can adjust the process for a shorter measurement period. As an example, if you measure your heart beats for 30 seconds, multiple the heart beats by 2. Keep in mind that the longer you measure your heartbeats, the more accurate the measurement will be – 30 seconds will be a more accurate measurement than 10 seconds. A heart rate monitor is a device that measures your heart rate in real time. 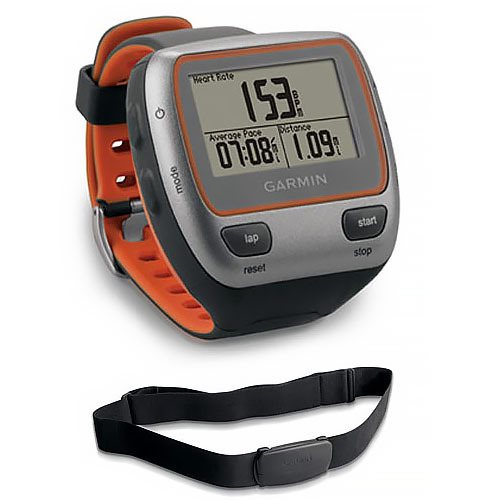 Chest strap heart rate monitors are very reliable and accurate HR measurements. These chest straps are often combined with a watch or phone app to show your HR. Running/smartwatches measure your HR with wrist based measurement technology. Wrist based monitors are not as accurate as chest straps, but they are quite accurate and less constricting than chest straps. RHR is a quick and inexpensive method of determining recovery. However, this method is less accurate than other measurement methods and should be used as a general guideline instead of an absolute recovery indicator. RHR is the number heart beats per minute while at complete rest. This measurement should be taken in the morning, right after waking up, and while still lying down. Measure you RHR for several days to establish a baseline RHR. To determine if you RHR has increased more than 5%, measure your RHR 2-3 times a day, at different times of the day. Your RHR should be taken while you are in an inactive state, and not shortly after physical exertion. If you periodic RHR is more than 5% above your baseline RHR, you are likely not adequately recovered and not ready for a hard training session. As you engage in physical exertion, your heart rate increases. During moderate to intense activity, your heart should be able to maintain an increased HR response that is normal, when compared to the level of increased physical exertion. Using a wearable heart rate monitor while exercising is the best way to determine if your heart is maintaining the normal increased HR. Measuring you HR using the pulse and stopwatch method is not very practical when exercising. The inability to maintain an increased heart rate, consistent with exercise intensity, is a strong indication of under recovery, meaning you are not ready for another intense training session. Several body mass indicators can be used to help determine under recovery. As with the RHR method, these methods are not absolute markers and should be used as general guidelines or early warning signs. This method should only be used when the loss of weight/mass is unwarranted – when someone is not trying to lose weight through nutrition and/or exercise. The best time to weigh yourself is first thing in the morning, before eating or drinking, while wearing as little clothing as possible. However, consistency is important – weigh yourself at the same time, wearing the same amount of clothing, and on the same scale, everyday. Your weight does not need to be checked every day, unless you suspect you are under recovered. Since many factors can contribute to weight/mass loss, this method of determining under recovery should only be used as an early warning sign instead of a highly reliable indicator of under recovery. Excessive water retention, gaining more than 2 pounds of water weight in a day, can be an indicator of under recovery. Water retention results in a puffy face, puffy toes, overall swelling, or big surges in weight gain. Much like loss of total weight/mass, many factors can contribute to water retention, so this method of determining under recovery should only be used as an early warning sign instead of a highly reliable indicator of under recovery. Sleep quality and/or quantity can be a major indicator of under recovery. If you are overtraining, your sleep will suffer. Our bodies, especially the nervous system, accomplish maximal recovery during sleep – the more our sleep suffers the more our ability to recover suffers. Many factors, such as late night snacking, exposure to blue light 2-3 hours before bedtime, and caffeine consumption to close to bedtime, contribute to your ability to fall asleep or stay asleep at night. However, poor sleep quality could also be an early warning sign of being under recovered. Oxygen saturation refers to the fraction of oxygen-saturated hemoglobin relative to total hemoglobin (unsaturated + saturated) in the blood. The human body requires and regulates a very precise balance of oxygen in the blood. A physician will place a Pulse Oximeter, a device that looks like a small finger clip over the end of your finger. The Pulse Oximeter emits a light from one side of the clip, and absorbs the light on the other side. The absorbed light measures the oxygen in your blood – your oxygen saturation level. Using a Pulse Oximeter is an inexpensive and accurate method of determining your oxygen saturation level. A pulse Oximeter, such as the iHeath Air Pulse Oximeter, can be purchased for home use. The ABG test is also commonly known as a blood gas analysis test. A technician, called a phlebotomist, will insert a needle into your artery and draw blood. Typically, the blood is drawn from the radial artery in your wrist. The blood is then sent to a lab and tested for oxygen content. In addition to blood gas test, additional tests can be performed on the blood sample, such as a blood glucose test and creatinine blood test. These tests can indicate other potential health concerns. The ABG test cannot be performed at home and can cause some discomfort when the intravenous needle is inserted. Normal blood oxygen level is 95-100 percent. Oxygen saturation levels that drop below the normal level of 95% are a strong indicator of being in a non-optimally recovered state. Low energy levels or lack of motivation, vigor, enjoyment from exercise, etc. This article covers many of the most reliable and easily applied methods available to help you determine your recovery status. I hope you enjoyed this post. I’d like to her about your experiences with recovery indicators. Please leave any feedback or questions you may have in the comments section below. Happy training and healthy recovering. Thanks for reading. Is to help everyone I can achieve superhuman optimization in their lives in every way possible, including factors such as fat loss, athletic performance, sleep, nutrition, hormones, etc. Also, I am obsessed with finding the most nutritious, beneficial, and natural foods/superfoods/supplements/technology/products that are not only found in my home state of PA or even the US, but from around the world and I wish to bring this information/products to people that wish to optimize their lives and go beyond human in order to become superhuman. I found my intense passion for everything health, fitness, and performance in 2015. This was during my 3 month stay in Phuket, Thailand where I was staying and training Muay thai, Brazilian Jiu Jitsu, and other Martial arts at the Tiger Muay Thai camp. I became extremely interested in the performance, nutrition, and lifestyle factors that were not only beneficial to the high level athletes but also the average person. When I returned from Thailand is when I found Ben Greenfield's podcast, which only increased my interest in what makes people optimized and is when I decided to change career paths and get involved in the health and fitness industry. This entry was posted in Recovery and tagged HRV, Recovery, sleep. Bookmark the permalink.